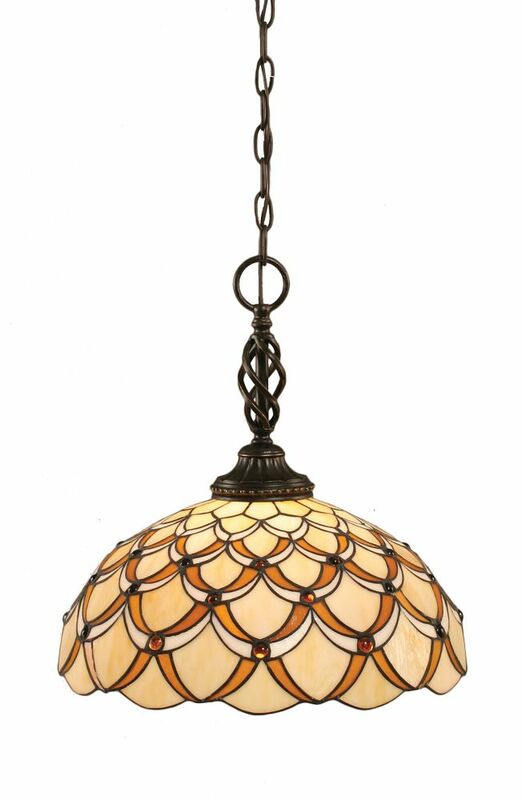 Concord 1-Light Ceiling Dark Granite Pendant with a Honey and Brown Tiffany Glass The cornerstone of the concord Collection is quality, and this pendant is no exception. Combining a classic dark granite finish and posh styling, you will find no better way to highlight the charm of your home. With the superb craftsmanship and affordable price this fixture is sure to tastefully indulge your extravagant side. Concord 1-Light Ceiling Dark Granite Pendant with a Honey and Brown Tiffany Glass is rated 1.0 out of 5 by 1. Rated 1 out of 5 by GKI from Not Competitively Priced AFTER WE ORDERED OUR LIGHTING FIXTURES WE FOUND WE COULD HAVE PURCHASED THE EXACT SAME THING FROM A LOCAL SUPPLIER FOR 20% LESS. We didn't even price check as we thought with Home Depot's buying power that their pricing would beat any local supplier. Very disappointed.